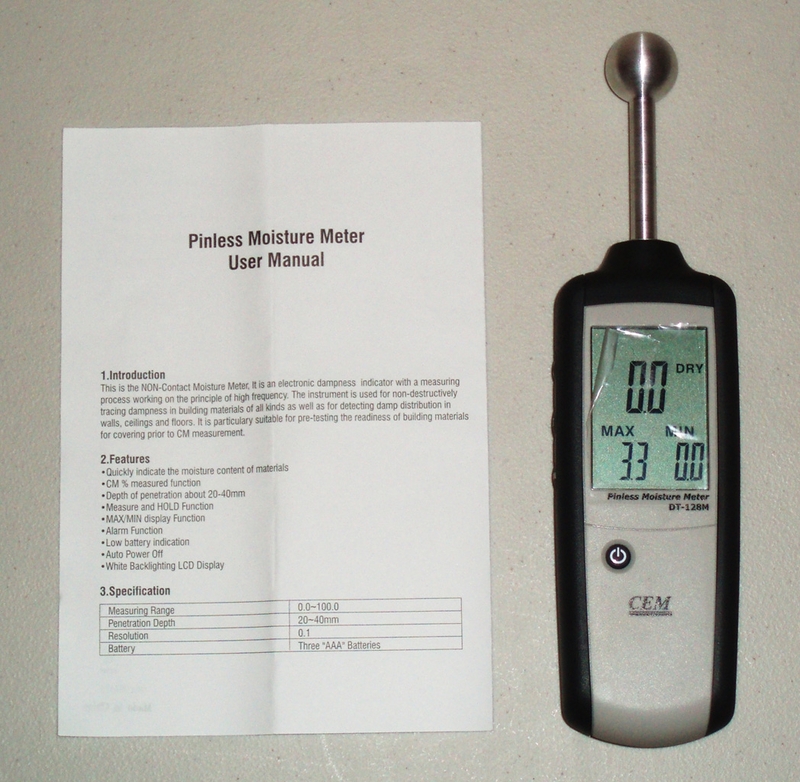 This is a brand new CEM DT-128M industrial grade pinless moisture meter from Ruby Electronics. DT-128M is a non-contact moisture meter. This electronics dampness indicator measures the material in high frequency to yield the accurate result. DT-128M is used for non-destructive measurement of dampness in building materials of all kinds including walls, ceilings and floors. This device is compact and very portable. It comes with batteries pre-installed.